Gardeners sometimes wrestle with the choice between annuals and perennials. On the one hand, perennials return every year, but they usually have a fairly short bloom time. On the other hand, although you get a longer bloom time with annuals, you have to replant them each year. But some plants offer a long bloom time and don't need to be replaced or replanted each year—self-sowing annuals. Annuals are plants that complete their entire life cycle (germination, growth, reproduction, death), in one season or year. Think classic bedding plants like petunias and impatiens. Perennials are plants that will not die at the end of the season (though many will go dormant). They will return to flower and fruit year after year. Self-sowing annuals are plants that will drop seed in your garden before they die and will germinate on their own the following year. So they return year after year like perennials, but from seeds, not from their roots. Cultivating self-sowing annuals reduces the carbon footprint of your garden. You'll make fewer trips to the garden center to buy brand-new plants, many of which are grown in energy-guzzling greenhouses in plastic pots and shipped across the country in large trucks. Self-sowing annuals also make your garden more sustainable by allowing natural selection over generations to favor the plants most suitable to the particular microclimate in your garden. This results in hardier plants and, by extension, lower water use. Finally, cultivating self-sowing annuals will bring a sense of surprise and serendipity to your garden, because you never know where the seedlings will pop up. Once, in the Rock Garden, a Cleome gynandra germinated in a tiny hole in a rock and grew and flowered happily there all season! Step 1 This spring, when you choose annuals for your garden, select species that tend to self-sow. Both seeds and plant sets work fine. Take photos of your plants when they are young (as seedlings if planting by seed, starter plants if you bought them from a nursery). These photos will come in handy next year when you're trying to identify what's germinating in your garden. 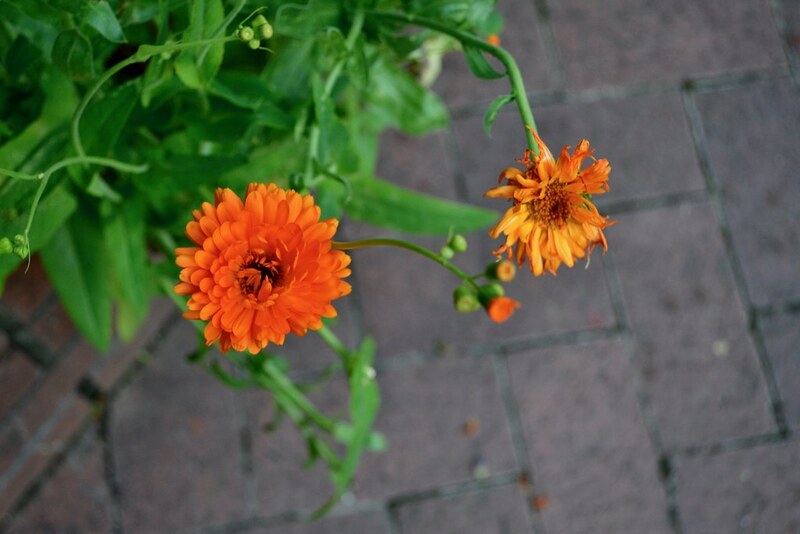 Pot marigold (Calendula officinalis) Plants in the aster family (Asteraceae) are a pretty good bet for self-sowing, but some can be weedy, so use caution. Many plants I initially believed would not self-sow have in fact done just that in my garden over the years, including sweet alyssum. Keep in mind that the chances of a particular species self-sowing can vary from garden to garden (perhaps even from bed to bed if there are various microclimates on the site). Use my list as a starting point, and have fun experimenting. Step 2 Plant your annuals and care for your garden as usual this year. Step 3 Allow your flowers to develop seeds, then let the seeds ripen and drop. This will happen in the summer for some species and in the fall for others. If you are an eager deadheader who regularly removes spent flowers from plants, you'll need to exercise restraint this year—let the seed heads get completely brown and split open. 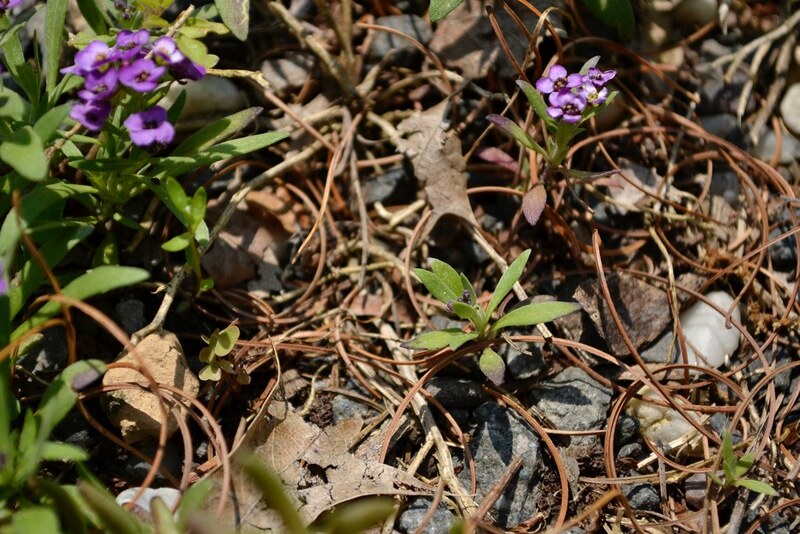 Step 4 Next spring, keep an eye out for seedlings that look like the annuals you grew last year. 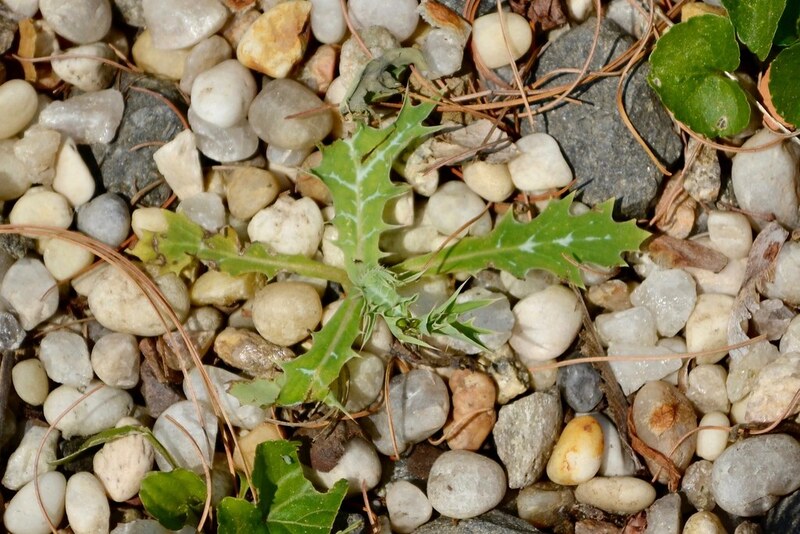 Rather than weed right away, you may need to let things grow before figuring out which seedlings match which plants. Refer to the photos you took the previous spring of your young plants to help you remember what they look like when young. 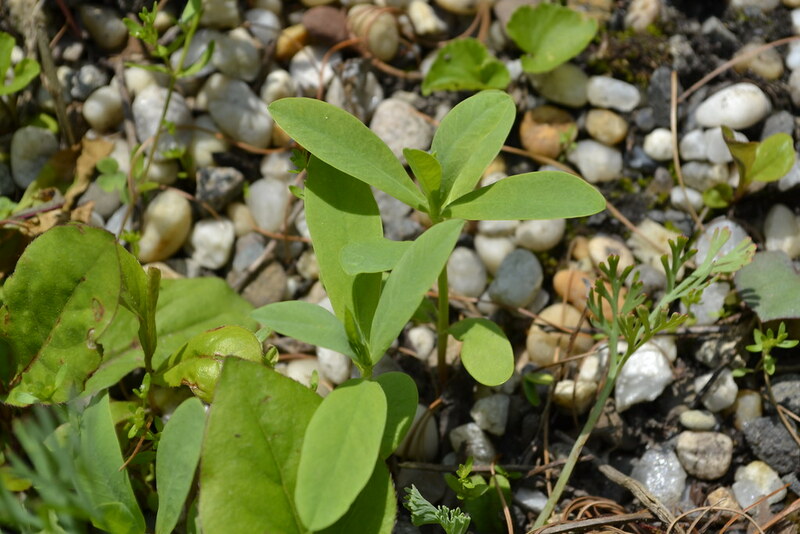 You can also search for internet images of seedlings to help you ID what's growing. If you can't find any seedling photos of the particular species you grew last year, try looking for seedling photos of the genus. With practice, you will get better and better at identifying them. Step 5 Decide which seedlings you'd like to keep. This is the gardening part—nature determined what seeds went where, but you get to pull the ones that germinated in areas you don't want them to grow. Step 6 Enjoy your garden! Repeat steps 3 to 5 for years to come. 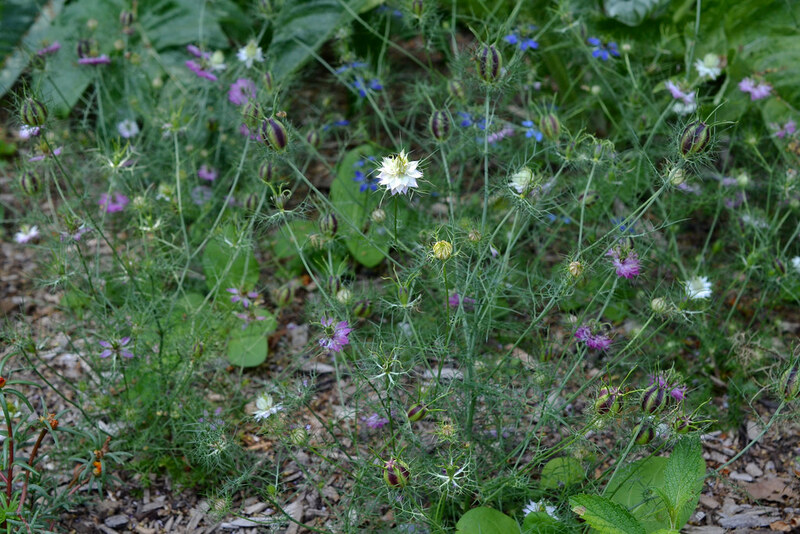 There are some challenges to growing self-sowing annuals. You do have to stay alert in the spring as the seedlings come up to decide which ones you want to keep and which ones you don't; otherwise your garden could get overwhelmed with a particular species. Also, if it's important to you to have specific cultivars in your garden, self-sowing isn't the best choice: Cultivars generally won't come true from seed. And if your garden has a formal design, the random appearance of self-sown plants may not work for you. But if you enjoy gardening as a journey and not just a destination, then you should definitely give self-sowing annuals a try. Laura Powell is the curator of BBG's Rock Garden. 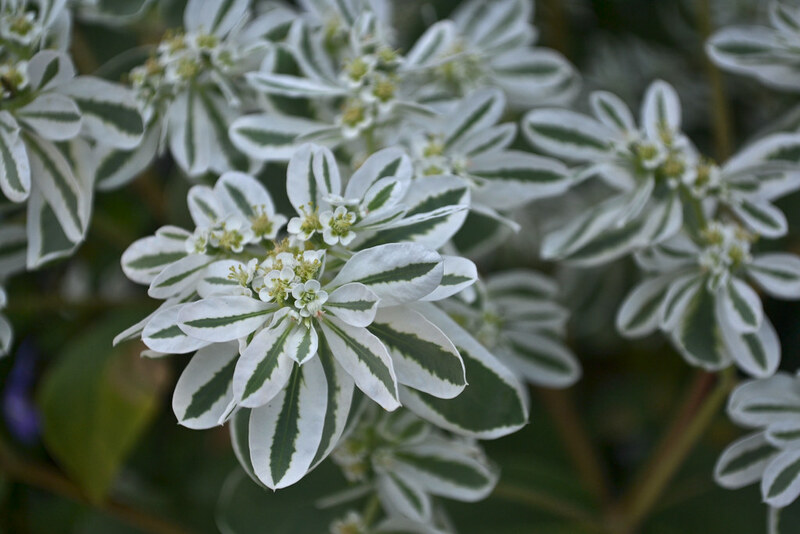 Euphorbia marginata (snow-on-the-mountain) by the Rose Arc Pool. Photo by Morrigan McCarthy. 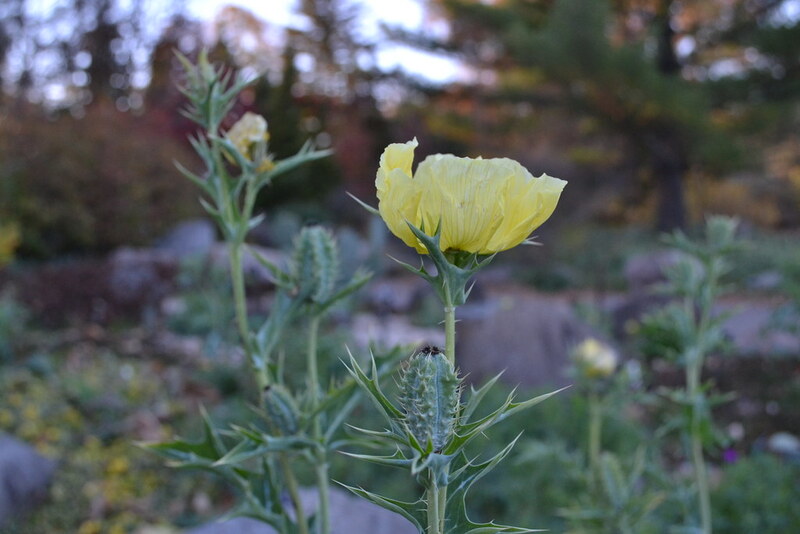 Argemone mexicana (Mexican poppy), in bloom by the Rock Garden. Photo by Lee Patrick. Calendula officinalis (English marigold) in the Shakespeare Garden. Photo by Blanca Begert. 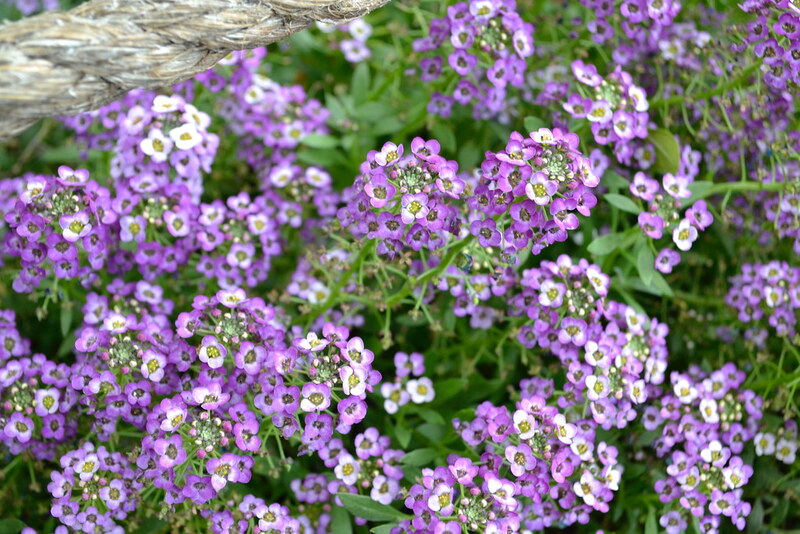 Lobularia maritima (sweet alyssum) in the Herb Garden. Photo by Blanca Begert. 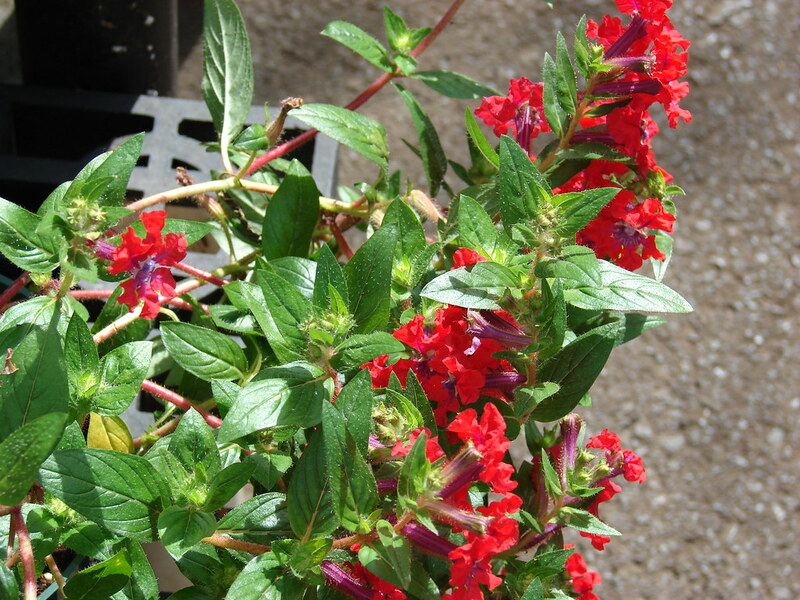 Cuphea llavea. Photo by Forest and Kim Starr. Argemone mexicana (Mexican poppy) seedling. Photo by Blanca Begert. Lobularia maritima (sweet alyssum) in the Rock Garden. Photo by Blanca Begert. Euphorbia marginata (snow-on-the-mountain) seedling. Photo by Blanca Begert. Nigella damascena 'Miss Jekyll Rose' (love-in-a-mist) in the Annual Border. Photo by Morrigan McCarthy. 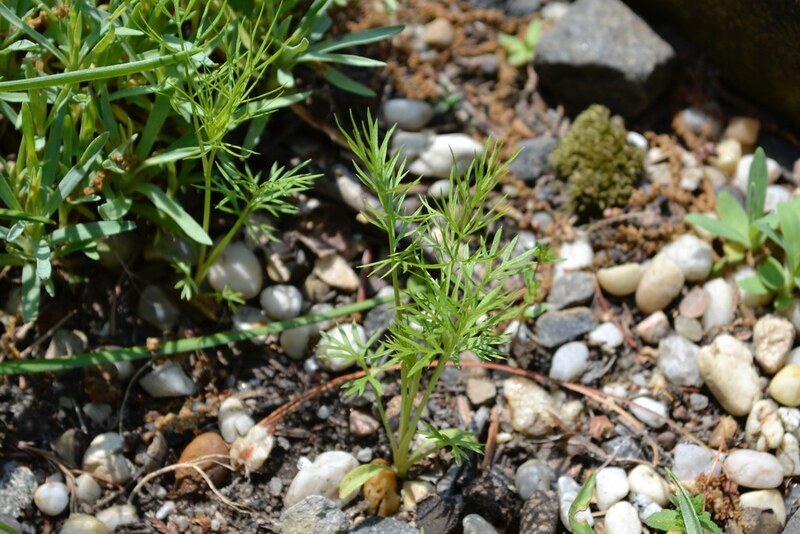 Nigella damascena (love-in-a-mist) seedling in the Rock Garden. Photo by Blanca Begert.